Humans depend upon soil-based ecosystems for many essential activities including agriculture, grazing, and forestry, as well as for other uses such as recreation, mining, drilling, and development. All of these land uses have the potential to affect soil quality and viability. The North American Dust Bowl catastrophe of the early twentieth century focused attention on agricultural soil conservation. Later in the twentieth century, more holistic approaches to ecosystem reclamation and restoration were developed, driven by research documenting the close ties between aboveground and belowground communities of producers, consumers, and decomposers. The important roles of soil microbial communities in soil formation, biogeochemical cycling, nutrient retention, plant–microbe interactions, and soil food webs are now widely recognized as essential to good soil quality, essential ecosystem services, and maintenance of biodiversity. 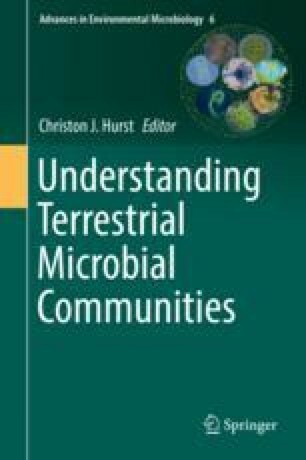 This chapter broadly reviews the progress made toward understanding the effects of various land uses on soil microbial communities, recent developments in our understanding of the roles of soil microbes in facilitating ecosystem reclamation and restoration following anthropogenic degradation, and the implications of these processes for carbon cycling and climate change mitigation. The author thanks Hermano Zenaide Neto for research assistance. Vicky L. McKinley declares that she has no conflict of interest.